Director General of the National Identity Management Commission (NIMC) Aliyu Aziz. THE National Identity Management Commission (NIMC) says the new national identity card has a special feature which would enable it to also be used as a credit card. Speaking to the News Agency of Nigeria, NIMC’s head of corporate communications, Loveday Ogbonna, said the commission is partnering with the United Bank of Africa (UBA) to enable owners of the new e-ID card to carry out financial activities using the card. “The card at the point of collection if activated could be used for financial transaction around the world and even on any master card platform, verve and others,” Ogbonna said. “There is a provision in the system that enables you to load any amount of money you want into the card through ATM or POS. The bank we are using now is UBA, other banks will still come on board and at the point of collecting the card, the payment outlet is activated to enable you use it for financial transactions. “Money can be paid into that card and money can also be withdrawn on any ATM anywhere around the world. You can also make purchases online, subscribe for DSTV, POS payment, and check balance and others. Former President Goodluck Jonathan all smiles as he withdrew money from an ATM using his national e-ID card. Perhaps his was an isolated case. NIMC was established in 2010 with the primary mandate of capturing all Nigerians into a single database and issuing them with permanent national identity cards, but eight years after, the commission has failed almost woefully to attain even half of this mandate. An investigation published by the ICIR in December 2017 revealed that a billions of naira have been allocated to NIMC since its inception, but the commission has only been able to capture only about 25 per cent of Nigeria’s 180 million population into its database, while not more than five per cent of those captured have been issued with their cards. NIMC records show that between 2010 and 2017 less than one million Nigerians have been issued with the so-called e-ID card. But despite not achieving its primary mandate, NIMC has continued to engage in frivolous spendings. In 2015, the commission was queried by the office of the Auditor General of the Federation for mismanaging the sum of N3.5 billion on questionable procurements and project execution. The report from the AuGF said the expenditure violated all known procurement rules and extant financial regulations of Nigeria. Another investigation by the ICIR showed that the process of enrolment for the new e-ID card was steeped in bribery and extortion by NIMC officials. In some of the enrolment centres, citizens were asked to contribute money for fuel to power the generators to be used for the process. The ICIR checked the NIMC website to get more information about the e-ID card programme, but the website did not offer much information. Having enrolled for the e-ID card in 2013, this reporter tried to check his enrolment status to know whether his card was ready, but it was not. An email sent to the address provided on the website — info@nimc.gov.ng — did not deliver. 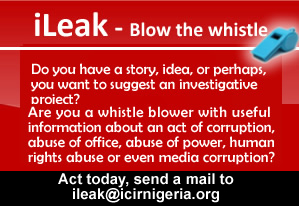 “Your message couldn’t be delivered to info@nimc.gov.ng. Their inbox is full, or it’s getting too much mail right now,” read an automatic message sent to this reporter. NIMC’s mailbox cannot receive any more emails because it is filled up. Calls to the two phone numbers provided on the website did not connect. One was constantly busy, and the other was not reachable.